 The Variable Rate Seeding Demonstration at Canada’s Outdoor Farm Show will give farmers an in-depth look at the operation and results of variable rate seeding. In this demonstration, farmers will be able to see a variety of variable rate seeding specific planters and drills in action in the field. As well, the results of variable rate seeding plots planted three weeks prior to the show will be displayed for attendees to examine how the seeds have immerged from the soil. The Variable Rate Seeding Demonstration will take place daily at 1:30 p.m. in the Southwest Demo Field. The Pöettinger Terrasem mulch drilling concept combines soil cultivation, consolidation and planting in a single machine. The effective compact disc harrow, unique tyre packer and perfectly designed coulter rail deliver optimum results. It has been engineered in detail from the drawbar to the rear harrow tines. The Terrasem universal seed drill can be economically incorporated into any operating sequence, regardless of whether it is deployed for mulch or conventional drilling. These machines deliver precision seed placement thanks to their parallel-guided DUAL DISC coulters with rear depth control press wheels. Using direct fertilisation on the Terrasem Fertilizer models enables micro and macro nutrients to be deposited at the same time as the seed. The Tempo high-speed planter is designed for maximum versatility. The ability to use the same machine for multiple crops often means that two traditional planters can be replaced, increasing usage and lowering the cost per acre. The open frame design makes it easy to adjust the row spacing to suit numerous seed types. The iPad-based control system, Vaderstad E-Control, wirelessly delivers data about each seed that travels through the machine, including seeding quality, skips, doubles, distance in the row, and rate. Benefit from user-friendly remote set up and calibration, as well as easy, real-time monitoring and control. With the iPad, regularly upload the most recent program software. Presenting AGCO’s, six row, 30 inch spaced White planter. Deltaforce active hydraulic down force receives signals from the load cells on the gauge wheel, multiple times a second, to assure just the right amount of pressure is applied to plant the seed in each individual row at the right depth, without creating compaction. This ability to adjust up or down on the fly addresses the differing field conditions. The Vset vacuum meter, with its unique seed disc and singulator allows seeds of varying size to be sown without skips and doubles. This is further enhanced by the Vdrive electric driven motors, which can adjust to varying ground speeds, individually, row by row, so that population and seed spacing is consistent. The 20/20 Seedsense monitor displays each row in detail so the operator can make adjustments at the onset, rather than finding out about the problem at emergence. The 1795 is an effective planter that offers superior split row performance. Plant on two row spacings: the front rank of row units is on 30-inch spacings, while the back rank of row units is on 30-inch spacings, as well, but offset from the front rank to provide a 15-inch spacing system. This highly proficient planter fills the need of corn and soybean growers in a variety of ways. Thanks to CCS seed delivery, you can now enjoy the productivity of a bulk full that services up to 100 bushels of seed capacity. There’s also the 12-foot narrow transport that crunches all this big production down to a more manageable unit to move from one place to the next.